Powell Valley Apartment Homes is a 228-unit garden-style apartment community in Gresham, Oregon. Prior to listing, the owner had completed exterior upgrades and implemented a value-add renovation program for apartment interiors. Approximately 39% of all units were renovated at time of sale. As many institutional investors are unfamiliar with the east side of Portland, HFO illuminated the strengths of the Gresham submarket in the property’s Offering Memorandum and custom website. Marketing material also highlighted the asset’s proven value-add opportunity and income upside potential. HFO utilized a multi-layered marketing strategy to ensure the asset achieved the fullest possible market penetration. 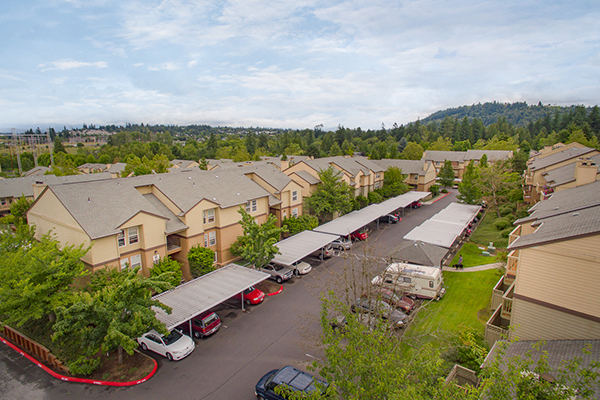 Our strong relationships with institutional investors across the country led to receipt of more than 20 offers for Powell Valley Apartment Homes and the transaction’s final sale price exceeded the seller’s expectation.